Jimmy Fallon gained plenty of detractors with his interview of GOP presidential nominee Donald Trump last week, which many perceived as going too soft on the candidate. 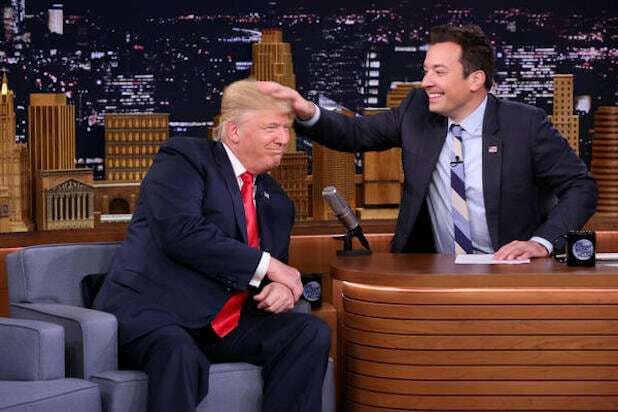 But as Fallon sees it, his one-on-one with The Donald was in keeping with his show’s approach. “The Tonight Show” host Fallon was cornered by TMZ on Sunday following the Emmy Awards, and he was asked what he thought about the criticism of the interview. “I can’t make any jokes about Jimmy Fallon. The way he showcased Trump like a lovable old grandpa was sickening,” went one response to the interview. “Fallon and Trump are 2 sides of the same coin: mediocrity and evil go together,” said another. “Next up: Fallon and Trump slow jam MEIN KAMPF. Hilarious!” went yet another criticism. During his interview with Trump, Fallon also ran his fingers through the candidate’s famously bizarre coiffure. Democrats at their national convention want to tell Americans that whatever they think of Hillary Clinton, Donald Trump is worse. They're doing it with a barrage of sick burns. Here are the best. "Some of you know me from The Hunger Games, in which I play Effie Trinket — a cruel, out-of-touch reality TV star who wears insane wigs while delivering long-winded speeches to a violent dystopia. So when I tuned into Cleveland last week, I was like, 'Hey, that's my act.'" "This Democratic primary was exemplary. No name calling, no comments about the size of candidates' hands or ethnicity or how much they sweat or if they go to the bathroom. Inside secret: they do. That stuff is for third graders ... major arrested development stuff. That's 'I'm still emotionally 4 and calling people names from my gold-encrusted sandbox because I was given money instead of human touch or coping tools' stuff. But I digress." "Sure, he's scammed a lot of people. But did you know that Trump University's School of Ripping People Off is ranked second in the nation? Right behind Bernie Madoff University." "I've built a business and I didn't start it with a million-dollar check from my father ... I'm a New Yorker, and New Yorkers know a con when we see one." "He’s trying to tell us he cares about the middle class -- give me a break. That’s a bunch of malarkey ... The guy doesn't have a clue about the middle class, not a clue." "He says, 'Believe me.' Well, his creditors, his contractors, his laid-off employees, and his ripped-off students did just that, and they all got hurt. 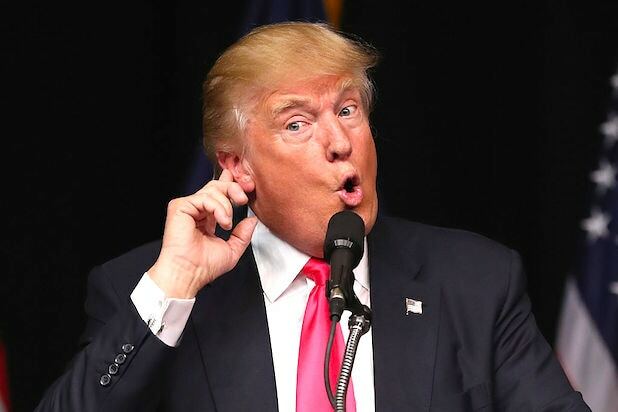 Folks, you cannot believe one word that comes out of Donald Trump’s mouth." "More than 120 Republicans, national security leaders -- Republican national security leaders -- recently warned that Donald Trump would, in their words, 'make America less safe.' He even mocked POWs like John McCain. I served in the same Navy as John McCain. I used to vote in the same party as John McCain. Donald, you are not fit to polish John McCain’s boots." "Anyone who threatens our values, whether fascists or communists or jihadists or homegrown demagogues, will always fail in the end." If you enjoyed this gallery, you may also like our list of the best Democratic Convention speeches, ranked. Emmys Fixate on Politics, From Donald Trump to Jeb!